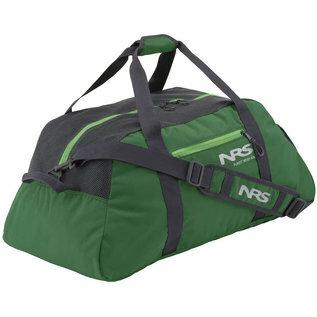 Built to withstand a rugged lifestyle and designed for airing out river funk, the NRS Purest Mesh Duffel Bag is the go-to gear bag for paddlers. Constructed with sturdy polyester and designed with a polyester mesh top panel allowing wet gear to breathe. Zippered accessory pocket on the side secures small items, like your wallet, phone and keys. Flat, rectangular bottom design maximizes useful space. Features sturdy webbing handles and a detachable padded shoulder strap. Duffel compresses into the side pocket for easy stowing in another bag.